For the first time I'm showing mobiles, small sculptures and paintings along with two new LED light sculptures. Gateway is a great place for walking, looking at art and enjoying the cool breezes off the fountains. The festival will be open 11AM-9PM, celebrating local product makers, artists, & musicians. Visitors over the age of 21 with valid ID, will be given a wrist band to buy craft brews, cocktails, and local wine. For those who want to escape the crowds, there will be a VIP area with free food and drinks by local caterers. There will be a variety of non-alcoholic drinks such as locally-made ginger beer, lemon shakers, fresh fruit drinks, and coffee. Foodies will be pleased some of Utah's best food trucks will be offering a mix of cuisines. Vegan foodies will have two food trucks dedicated to them. Musical acts will perform at the main stage. Sponsors for the event are Sugarhouse Farmers Market, SLC Arts & Events, City Academy Charter School, Top Golf, KUED, & Broadway Media. Utah Stories launched the Made In Utah Festival, which has grown exponentially since 2015. The ILLUMINATE SALT LAKE Festival is a free two-day community art event and a celebration of innovation and imagination for the community, art lovers, and families. The festival features installations by more than 30 artists, live music and performances, kids activities, a kids short film fest, interactive light art demonstrations, virtual reality arts displays, food trucks, local brews & spirits and much more! Festival locations include The Gateway, The Eccles Theater Regent Street Plaza, and Utah Museum of Contemporary Art (UMOCA). Programming partners include Utah Film Center, Utah Division of Arts and Museums, The Leonardo, Salt Lake City Arts Council, Discovery Gateway, and Clark Planetarium. Over 50 artists and performers are involved in producing the festival. Artists working with technology and using light as their medium will use the city as their canvas and create projection mapped artwork, light art displays and exhibits for the community to enjoy and experience a first of its kind experience. A multi-media installation of hand crafted light sculptures. at 230 South 500 West. Parking is available in the parking lot directly in front of the Art Space building (parking spots 40 - 59). by the ﻿﻿diary of a young man, which will be updated daily until the show. As one of my friends said "Writer sounds schizophrenic to me" so the concept is working so far. 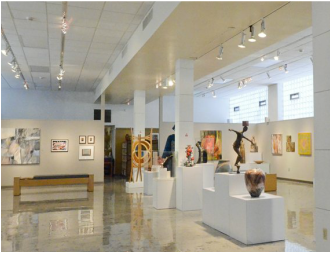 Art Access and UAF are both located in Art Space City Center at 230 South 500 West. Parking is available in the parking lot directly in front of the Art Space building (parking spots 40 - 59). Art Access and the Utah Arts Festival (UAF) present their ﻿ANNUAL HOLIDAY SHOW﻿, a shopping experience unlike any other. Meander back and forth between our two galleries, and take in the locally made wares of more than 70 local artists – each one different and unique. You'll find everything from ceramics, to a variety of handbags, fanciful assemblage pieces, handcrafted jewelry, hand-painted silk scarves, glass ornaments, and more. Five local artists and five local chefs present their best creations for guests and judges. Live entertainment by St Boheme, interactive art activities, party mountain photo booth, local food, local beer and wine. Signature cocktails with gin provided by Beehive Gin and vodka by Sugarhouse Distillery. Hanging Lotus, Ice House and Pod 1 are on display at ﻿﻿Concept Gallery,﻿﻿ 368 West 900 South, Salt Lake City. If you haven't been, Concept Gallery is an industrial modern space specializing in "Smart Artful Living" which includes concrete surfaces, countertops, furniture and art. Gallery Stroll is a free, public event. No tickets are required. The doors are open and you are welcome to walk in. It's held on the 3rd Friday of each month (except in December when it's on the 1st Friday). It officially begins at 6 pm and continues until 9 pm. Pod 1 was accepted in into the 2016 Utah Women Artists Exhibition at the Utah Cultural Celebration Center, 1355 W 3100 S, West Valley City. If you haven't been there before you'll want to take a look at a map. This biennial event features 76 pieces by 56 artists in a variety of mediums. Ice House was accepted into the Functional Art Exhibition at Larson Gallery, Yakima, Washington. A national juried exhibition of art that serves a utilitarian purpose—how the artists express their self through items such as clothing, textiles, jewelry, tableware, tools, fixtures and furniture.